I usually don’t divulge online my whereabouts at any given time. It’s just common sense to me. There are so many predators lurking in the dark recesses of the internet you know. However, let it be known that on May 11, 2012 I will be in a dark corner of a dark theater, watching Dark Shadows. Johnny Depp is one of the best actors on the planet today and probably could play any part imaginable. Maybe a remake of Tootsie? That being said, I have seen the first images of The Lone Ranger and it makes me cringe. Nonetheless I will still go see it. 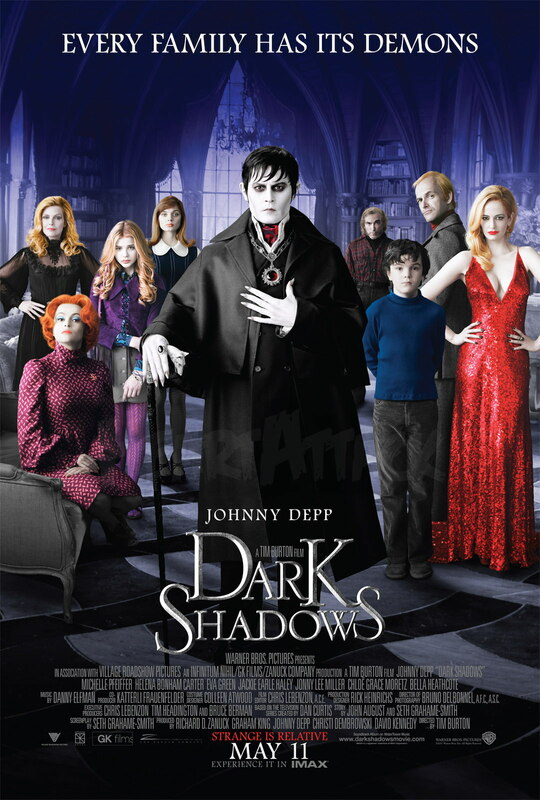 Back to Dark Shadows. Barnabas Collins is an older than dirt (200 years old) vampire. He was a part of a dark and strange family on an even darker soap opera in the early seventies. There is a large cult following for Dark Shadows even if you have never heard of the show. No where near the following that Star Trek or The Brady Bunch has but still very large. I’m not a big fan of the movie’s director, Tim Burton but if the trailer indicates how much fun the movie will be — I have got to be there. If you are there too, save me some popcorn. A gothic-horror tale centering on the life of vampire Barnabas Collins and his run-ins with various monsters, witches, werewolves and ghosts. Based on the 70’s cult TV series Dark Shadows. Did you like the first G. I. Joe movie? The next one in the franchise comes out on June 29th next year and if you would like to take a peek at the new trailer, be my guest!